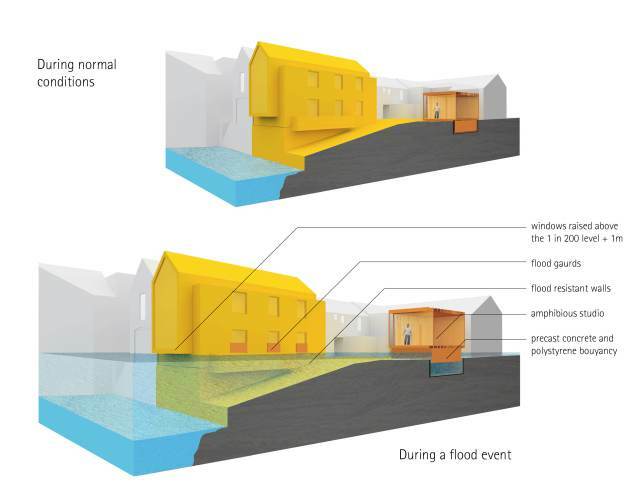 Planning consent has been granted for the 2nd Amphibious House in the UK in the seaside town of Salcombe. The innovative scheme, includes the construction of a new flood resistant dwelling within the envelope of an old stone store building and the replacement of a small boat shed with an elegant amphibious studio as part of the overall dwelling. The first amphibious house was featured on ‪Grand Designs Season 16 Episode 8 – The Floating House: Revisited, and has been published in numerous articles.